All inclusive Taba holidays are close to the Isreali border. The region of Taba was actually only declared as Egyptian again in 1985. Unfortunately there aren’t many amenities around here on all inclusive Taba holidays as the town is really just a stop off point between Isreal and the rest of Egypt. Nonetheless, the immediate coastline on Taba holidays has been called “the Egyptian Riviera” by some. A popular trip to take just south of Taba is to Pharoah’s Island in the Gulf of Aqaba. The island boasts a tremendous 12th century castle and is surrounded by coral reefs making it the ultimate diving island. Boats leave for the island from the coastal road on the adjacent mainland on all inclusive 2019 / 2020 packages in Taba. If you want to cross over to Isreal from the Egyptian town on Taba holidays a good tip is to ask for another piece of paper to be stamped instead of your passport. Countries such as Syria and Lebanon will deny you access into their land if you have an Isreali stamp on your passport. 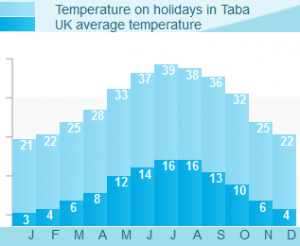 If you have any further queries about crossing the border it is best to ask not travel during your holidays in Taba. For travellers that don’t feel like taking the chance of crossing the border why don’t you take a trip into nearby Nuweiba, 43 miles south of all inclusive holidays Taba resort. Nuweiba is definitely more tourist friendly than Taba so you could spend a good day getting to know the place a bit better. All in all, your Taba all inclusive are for the laid back traveller who isn’t looking for the usual tourist attractions and gimmicks that come with them, although the downside is that shops and bars here are sparse.